The Washington Capitals will see Metropolitan Division and Presidents' Trophy banners raised to their rafters commemorating their success last season. Tonight, they'll have to watch the Penguins raise the banner they truly wanted. For the fourth time in franchise history, Pittsburgh bested Washington in a playoff series en route to winning the Stanley Cup. This time was particularly painful, as the 2015-16 Caps were arguably the best team they've had in the Ovechkin era. It may be a new season, but both sides return mostly the same rosters as last season, and they'll enter the season as runaway favorites to top the Metro. Unfortunately for Pittsburgh, the lineup will feature a couple notable omissions. Matt Murray, who manned the pipes en route to the Cup victory, will miss the beginning of the season with a broken hand. The Pens won't miss a beat, starting their other Stanley Cup winning goaltender, Marc-Andre Fleury, in his place, but it will be more difficult for them to replace Sidney Crosby, who was diagnosed with a concussion on Monday. As any talk with the Penguins starts with Sidney Crosby, it's impossible to talk about the Capitals without focusing on Alexander Ovechkin. Like Crosby, the 31-year-old Russian has played himself into the discussion of some of the best ever to play the game. 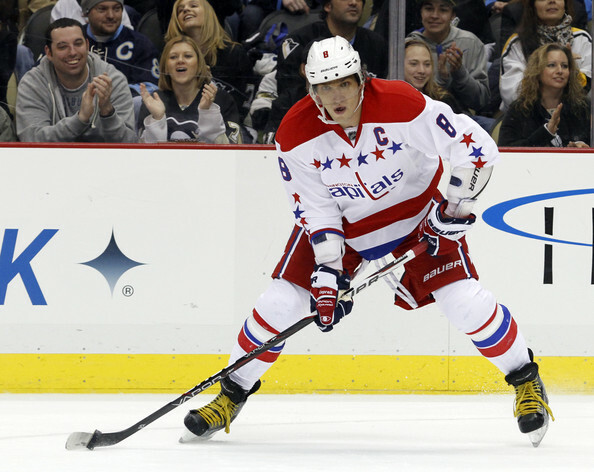 Entering his 12th season, Ovechkin has already hit some big milestones and is in a position to further bolster his resume. Ovechkin scored his 500th career goal last year, and his hat trick in the final game of the year gave him his 7th 50 goal season and cemented his 6th Rocket Richard Trophy, including wins in each of the past 4 seasons. With 966 points to start the season, it's almost a certainty barring injury that Ovechkin will join the 1,000 point club this year. He's easily been the best goal scorer of his generation, and Alex Ovechkin very well may end up as the greatest scorer of all time before he hangs up his skates. While Ovechkin has been a constant for Washington year in and year out, it was the strength of the supporting cast that helped propel the Caps to an NHL-best 120 points last season. It started in net, where goalie Brayden Holtby ran away with the Vezina Trophy and received strong consideration for the Hart, finishing 4th in the voting. Holtby tied Martin Brodeur's regular season record with 48 wins and balanced a strong offense with a 0.922 SV% and 2.20 GAA in net. With comparable numbers in 2014-15 (0.923 SV%, 2.22 GAA), the Capitals should be able to expect strong play between the pipes going forward, and Holtby has rewarded the confidence of an organization that traded away Semyon Varlamov and Michal Neuvirth to open up the net for him. At forward, it was someone other than Alexander Ovechkin leading the team in scoring for the first time since he entered the league in 2005-06. Evgeny Kuznetsov fell to Washington with the 26th pick in the 2010 NHL Draft over concerns about being to entice him to come over from the KHL, but the Capitals willingness to be patient and gamble on his talent has started to pay off. Kuznetsov has improved in each of his three seasons in the league, putting up a team best 77 points last season with 20 goals and 57 assists. At just 24, Kuznetsov is just now entering his prime and will continue to give Washington strong scoring depth at the top of their lineup. The Capitals did a good job of retooling on the fly heading into last season, as Justin Williams (22g, 30a) and T.J. Oshie (26g, 25a) held fortify the top 6, giving Washington two lines that few teams in the league could match. While much of the team remains unchanged from last year, they made a bold move to upgrade a 3rd line exposed by the Pens' HBK line in the playoffs, trading a 2nd round pick in both 2017 and 2018 to the Montreal Canadiens for C Lars Eller. After coming close last season, the team wisely chose not to blow up a roster with the talent to win it all, and they'll give it another shot this year hoping to finally get over the 2nd round hump in the postseason. - The Penguins will hold a banner raising ceremony before tonight's game against Washington, including a tribute video to last season's Stanley Cup winning team. - Sidney Crosby continues to progress in his return from a concussion sustained in last Friday's practice, taking in a practice with the full team this morning while wearing a no contact jersey. - With Matt Murray out for the beginning of the season with a broken hand, the Penguins claimed Mike Condon off waivers from Montreal, allowing Tristan Jarry to return to Wilkes-Barre as the unquestioned starter.